1. What inspired you guys to create this amazing collective? Camo: The collective is made up of solo artists who were all working in the same studios. We had cohesive collaborations amongst one another and the decision to come together was organic due to our common vision, which is making good music. Its aim is simple; blast all preconceived notions of what’s possible for Capetonian hip-hop in South Africa. 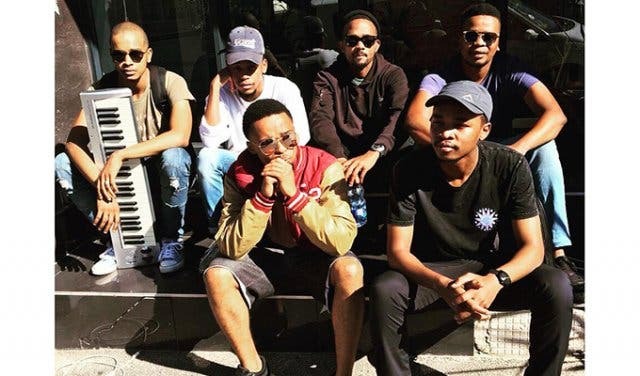 Loyiso: The inspiration was that we were all recording at the same studio and the decision was made to join forces and use our combined talents. Uno July: The pace at which we work and each individual’s strength. Personally I just wanna help each member get to the top. 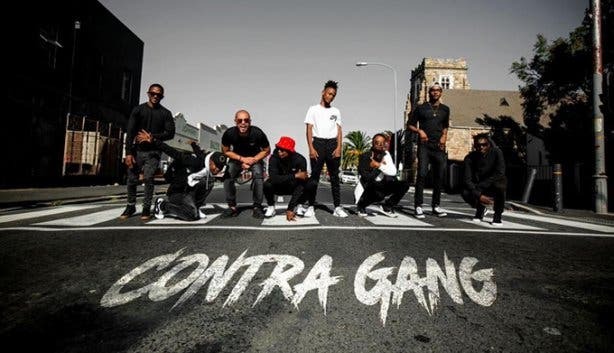 AK: Contra gang started with a group of like-minded artists working within the same studio facility (J1 & Psyc’ studio) and we decided to give the group a name after the release of the song ‘Contra Gang’. J1: Contra Gang was formed in a very organic way. We basically had frequent studio sessions together over the last 3 years and at some point acknowledged that something greater could be formed through a unified effort. M’tunez-i: I believe we did not choose to start this, it just happened that we all were recording together and developed a sound that represents all of us. All we did was acknowledge it, accept the name, and made it official. Simmy: I think we were inspired by the fact that we all worked at the same studio (being Psyc' & J1's studio) which led to us hearing each other's music and eventually collaborating in bits and pieces. We respect and appreciate each other's individuality and as such, decided to band all the different talents together to create a super group which would be a force to be reckoned with. 2. Do any of you come from a musically inclined family? Loyiso: No. The only thing that was happening when I was growing up is that all my family members, especially my older cousin, would always play music in the house and that’s where I was exposed to music when I was younger.Uno July: I don’t, but I can tell you that I used to wake up to McCoy Mrubata’s saxophone every morning. He used to live right opposite my house. AK: My father was a drummer in a band in his younger days and as a result of that music, of all different genres, has always been a huge part of my upbringing. J1: Not traditionally no; my older brother was a rapper, mom sings a lot of gospel. M’tunez-i: Not that i can think of. Simmy: My mother used to be a singer when she's younger but I don't know too much about that because I was a baby, if that even. My older brother used to rap, I witnessed it maybe once. I don't remember it clearly because I was young but I do know that all the CD's he would leave in my mom's car, or in his room, were my introduction in to hip hop and formed my foundation for it. 3. Who are your musical influences locally and internationally? Loyiso: Locally I’m influenced by many young producers who keep true to themselves and keep the culture going by producing great music! Internationally it’s just a couple of greats, J Dilla, Pete Rock and Kev Brown. Uno July: MF DOOM, J Dilla, Madlib and Kendrick Lamar. AK: My biggest influences locally are my Contra Gang fellows simply because when we are in studio creating, every person brings a different perspective to the table. Internationally I am influenced by producers like Mike Dean , Darkchild and many more. J1: Locally, the individual members of Contra Gang have had a lot of influence on my sound. Internationally I’ve been listening to a lot of Rick Ross, Tory Lanez, Royce Da 5’9 and others. 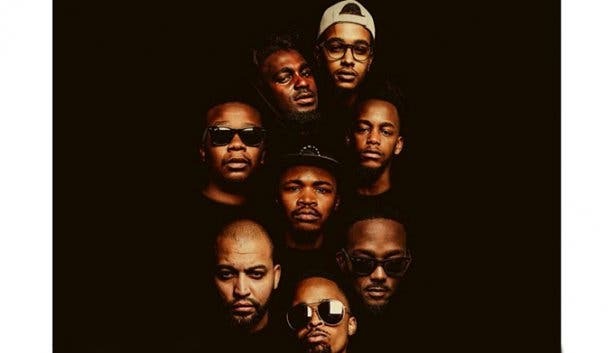 M’tunez-i: Pitch Black Afro, Mzekezeke, Zola 7, Mapaputsi, Tkzee, Pro, HHP, Mashkandi artists such as Igeza LakwaMgube, Thokozani Langa and anyone else good and being themselves while, Winning, Eminem, Andre3000, DMX, 50 cent, Gucci Mane, Lil Yachty, Kodak Black, Migos, Lil Uzi Vert and many more. Simmy: Influences is a tough one because I dabble in a range of genres and styles and I've been through so many different phases musically. If I had to narrow it down, internationally I'd say J. Cole, Kendrick Lamar, Young Thug, Future and a lot more. Locally AKA was one of my favourite rappers when I was younger. I'm also into the new school, with the likes of Nasty C.
4. What advice would you give someone out there who is considering this career choice? Camo: Consistency is key, and build a strong team of creatives around you to assist grow your brand. Lastly diversify your portfolio. Loyiso: My advice would be to stay at it and to not give up. What you see as overnight success is years of dedication and sacrifices that got that person there. You are just seeing the final product. Uno July: I would ask them- Are you prepare to suffer and are you prepared to win? AK: My one piece of advice is to create art that you are satisfied with and not create music with the intention of only pleasing people, but remembering to create music that you can be proud of in the distant future. M’tunez-i: Leave being ‘the best’ for later, for now be the best you you can be and then go tackle the world. Simmy: I would say firstly, you have got to love what you are doing. Any other reason for doing it is likely to backfire. Believe in your individuality and most importantly be willing to put in the work to get to where you want to be. The chances of overnight success are slim to none. 5. What is your most memorable moment in your careers? Camo: Mine has to be opening for Black Thought of The Roots, Dead Prez & Talib Kweli on their Black August SA Tour. Loyiso: For is always seeing the reaction of other people to our work and them telling me about elements of my work that even I didn’t see in it. Uno July: My two outstanding moments are performing at Cape Town Jazz Festival with my crew Ill Skillz back in 2012 and also opening up for Kendrick Lamar during his SA Tour. M’tunez-i: My most memorable moment in my career right now is having my song ‘iMali’ featured on a Road Safety Add titled ‘Ubuthakathi’. Simmy: My most memorable moment was performing at the Two's Up hip hop stage at Rocking the Daisies 2016. It changed my life. I haven't been overly nervous for a performance since then. 6. What would you say is the biggest misconception about the group? Camo: We’re a new collective still growing awareness of our brand, I’m sure misconceptions will follow. Loyiso: That a big group such as us there would be infighting, but it’s totally the opposite. Uno July: That we only make trap music. J1: Probably our skill set. I think some people think we’re just a group of rappers and beatmakers. People don’t really know just how versatile the group can be. M’tunez-i: To be honest, i don't know. Simmy: I am not really aware of any misconceptions about the group. 7. What are the future plans for Contra Gang? Camo: We’d like to grow the brand into a household name and also develop and grow Cape Town talent. Loyiso: More music and visuals are the way!! Uno July: I personally expect everyone to release and promote their solo work at this point. Whether we release music as a group or individually, it’s still regarded to be part of our entire vision. Recordings haven’t stopped though I can tell you that much, so you never know what might happen. AK: Future plans for Contra Gang is release the follow up of our previous body of work ‘The Code EP’. J1: After launching #TheCodeEp, we’re preparing more content for the next project. 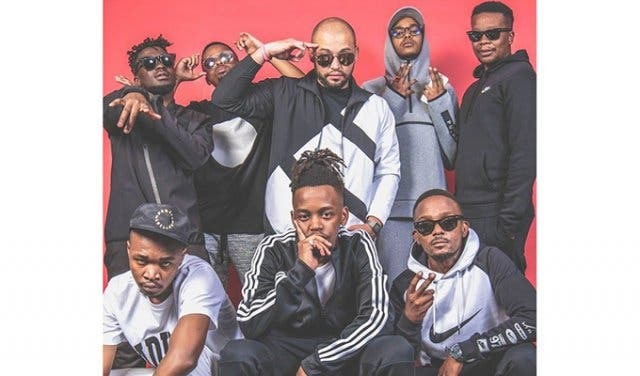 M’tunez-i: Successfully turning Contra Gang into a visible platform that branches out into the careers of the artists involved creating powerhouse brands that represent the dynamic and might of this supergroup. Kinda like an Octopus with each tentacle being different in its personification of the octopus’s might. Simmy: We have started working on a follow up to The Code EP that we released earlier this year. A lot of individual projects from the group are due for release this year as well. (look out for #LookAtNYA) We've got our launch event coming up with Bougie Boutique and plan on having a few more performances as a collective. 8. What's the greatest fear you have had to overcome when deciding to start this group? Camo: Personally my greatest fear was whether we’d get anything done at all. Working in large groups takes a more concerted effort to get small things done let alone putting music out together. 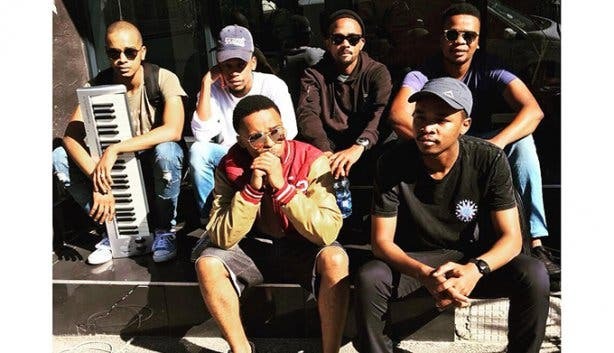 Loyiso: The fear that we don’t become just another Hip-hop group and background noise. We are about making change and shaking things up! Uno July: Having a verse eliminated from a song by Psyc’. He does that all the time bruh. J1: Losing our individuality. But we’ve got that on lock. M’tunez-i: The fear of working in such large numbers, and having to deal with that many personalities at a time. Simmy: I can't think of any fears. 9. What's the one thing you would like to achieve before you die? Camo: Travel the world, through my music. Loyiso: For our group to become big and also that each member of the group to also have successful careers individually. Uno July: A Contra Gang monument, by then we’ll have reached legendary status. I need a statue though. I also imagine J1 having a homecoming parade in Lesotho one day. Camo will probably be on the All Blacks hall of fame. AK: I would like to take our music out to the world and have people see what a group of artists from different backgrounds can do when they all come together as a team. J1: Be a great grandfather. Simmy: Above and beyond elevating the hip hop scene in the country; international recognition would be cool. Maybe a BET nomination or an overseas tour. 10. What do you think sets you apart from other collectives such as yourselves? Camo: Our drive and productivity as musicians is one of the things I think sets us apart. Collectively we all have something unique to contribute as a result of our varying influences. We can also cater to different audiences. Loyiso: We all know what we want and we all have a plan and will not change it for anything!!! Uno July: My vocals pitch higher than Simmy’s. My bass lower than Psyc’s basslines. J1: Our ability to execute so many sounds seamlessly. M’tunez-i: We are Contra Gang and we are the best there is at being us. As a collective, we focus on being ourselves. We don't work as one body, but rather an army using its dynamic range of styles as its weapon to set it apart. Simmy: We came together organically. Our music careers didn't start with the group, we all have our individual careers which have garnered their own success. This sets us apart in that other groups tend to have artists break away into solo acts, whereas we are already solo acts. The collective is essentially a platform to showcase these unique talents.